Lütfen Kullanım Şartlarımızı ve Gizlilik Politikamızı dikkatlice inceleyiniz. Süperkitap web sitesini kullanarak, Kullanım Şartlarımızı ve Gizlilik Politikamızı kabul etmiş olursunuz. Kullanım Şartlarımızı ve Gizlilik Politikamızı kabul ettiğiniz için teşekkür ederiz. Şimdi bu mesajı kapatabilir veya Kullanım Şartlarımızı ve Gizlilik Politikamızı okuyabilirsiniz. Bu web sayfasının "Kullanım Şartları" ve "Gizlilik Politikası" kısımlarını okudum ve kabul ediyorum. Chris, Joy and Gizmo see Lucifer rebel in heaven, then tempt Adam and Eve in Eden. Chris, Joy and Gizmo see Abraham and Isaac face an extraordinary test of faith. Chris is mad at Joy until meeting twin brothers torn apart by unforgiveness. Chris, Joy and Gizmo see Moses challenge Pharaoh to free Israelite slaves in Egypt. Chris, Joy and Gizmo see how God gives His laws to protect and bless people. Chris has stage fright until meeting David, the boy who confronts Goliath. Chris won’t confront a bully until seeing Daniel face death for doing what is right. Chris, Joy and Gizmo witness the true meaning of Christmas. 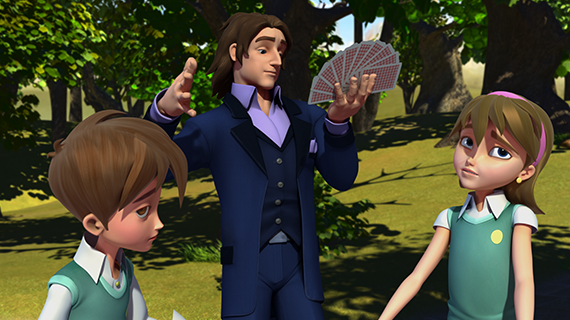 Chris thinks a magician can do miracles until he sees God’s power at work. Chris wants to be treated like a rock star until he sees how Jesus shows leadership. Chris defies his mother until he sees Jesus suffer, die, and rise again. Chris, Joy and Gizmo think a thief can’t change until they meet Saul. Chris thinks he can never be forgiven until he witnesses the end of the world. 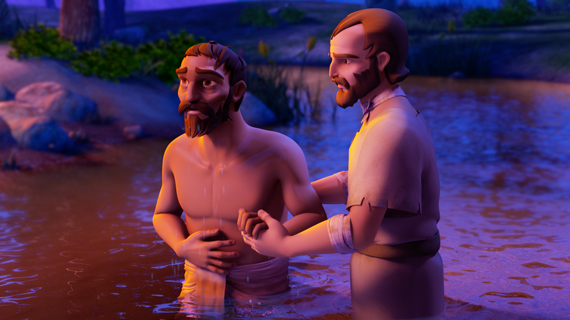 Discover how the Superbook episode “Let My People Go!” points to God’s plan of sending His Son, Jesus Christ, to be our Savior. 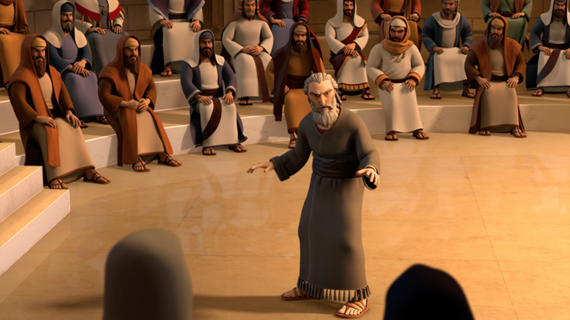 Discover how the Superbook episode “A Giant Adventure” points to God’s plan of sending His Son, Jesus Christ, to be our Savior. 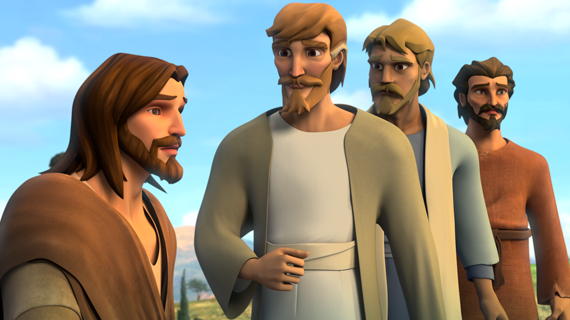 Discover how the Superbook episode “Miracles of Jesus” points to God’s plan of sending His Son, Jesus Christ, to be our Savior. After hearing God's message from the prophet Jonah, Joy realizes that mercy is a wonderful gift. After witnessing God take Joseph from the prison to the palace, Chris realizes the value of trusting in God's plans. Chris learns about choosing to obey and trust God through the story of Shadrach, Meschach, and Abednego and the fiery furnace. After seeing how Rahab helped the Israeli spies, Joy learns that those who seem like enemies can get along and find common ground. By witnessing Queen Esther stand up for her people, the Jews, Joy returns home full of the resilience and fortitude to do the right thing. Chris comes to understand what it means to live truthfully and to point others to being more like Jesus through the example of John the Baptist. After watching Paul's tireless persistence during his missionary travels, Joy returns to an international relief project filled with the Spirit that no hardship will stop her. After experiencing the story of Job, Chris realizes that God will always be with him no matter how tough the circumstances. Heartened by Noah's example, Chris and Joy return to the present day determined to make better choices. Learning from the example of Gideon, Joy realizes she can do anything when God shows the way. After seeing Peter deny knowing Jesus three times and his eventual restoration, Chris comes to understand the value of true friendship. Chris comes to understand through the parable of the prodigal son, that God will always accept us back into His family with open arms when we say we are sorry. Chris is hooked on becoming the most powerful “god” in an online game. 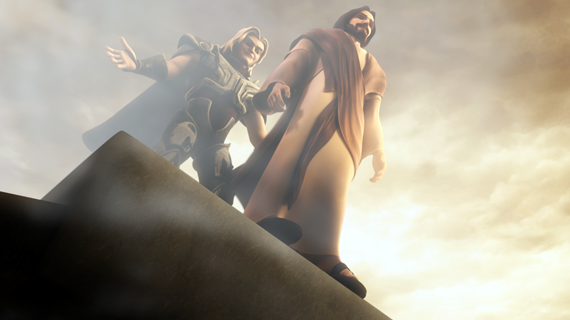 Suddenly, Superbook sends him to a time when Elijah battled the prophets of Baal, and showed the power of the one true God. Chris doesn't want to do yardwork for his Aunt Isabel. 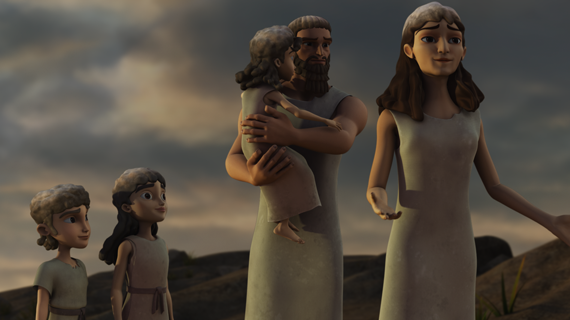 Superbook take him to meet Ruth and witness how her kindness and loyalty is rewarded through the actions of Boaz. Chris and Joy struggle to communicate with a new foreign student. Superbook takes them back in time when God created multiple languages. Joy is struggling to babysit Charlie, who is quite disobedient. 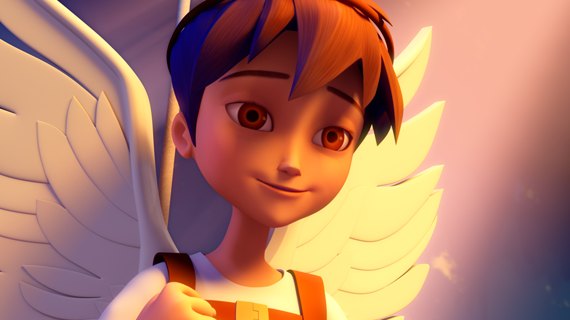 With Superbook's help, Joy witnesses how God helped Elizabeth to have a baby and realizes that with God's help, she can see little Charlie in a whole new light. By disobeying his father, Chris causes a robot to destroy the yard. 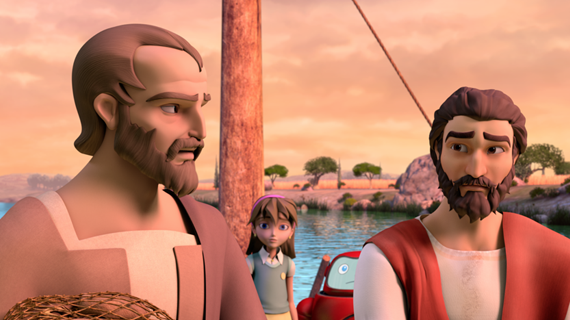 Superbook takes Chris to meet Eliezer, who is on his way to find a wife for Isaac. Through this journey, Chris learns the importance of following instructions. No one seems to be following Joy's orders and her service project is falling apart. Through the story of Naaman, Joy returns home with a changed attitude about service and humility, and applies it to her project. Chris believes he is too young to be called by God to help Jason. 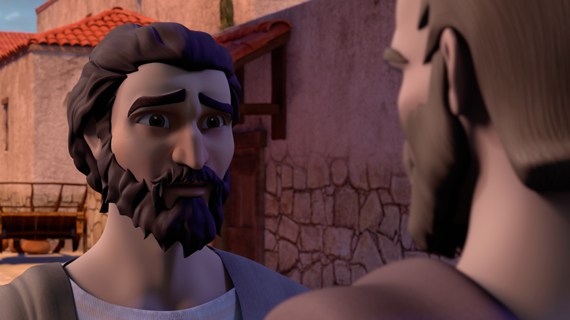 Superbook takes them back to a time when the young Samuel is called by God to serve Israel. 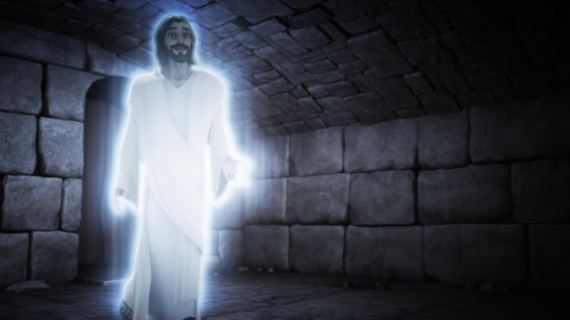 When Christ returns home, he acts on his calling, and makes an attempt to befriend Jason. 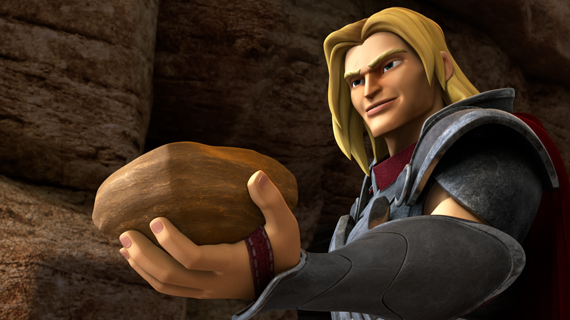 Two teens destory Chris’ guitar and he vows to take revenge, but Superbook whisks him off to meet David. Even though King Saul tries to kill David, David shows mercy. When Chris returns home, he decides to leave judgment to God. Chris has to tutor two class clowns, and through their antics, he wants to give up. 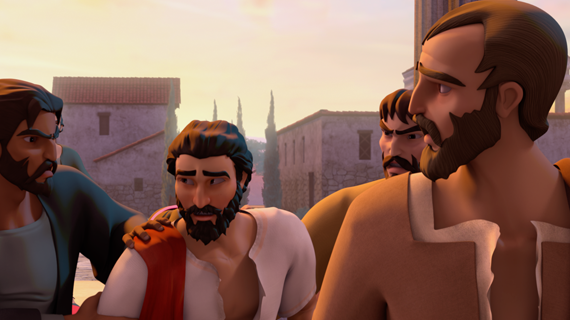 Superbook whisks Chris to meet Nehemiah, who is mocked for rebuilding Jerusalem's walls. Through Nehemiah, Chris learns to do the job God gave him and ignore mockers. Joy plans to get even with Barbara, who shared an embarrassing video about Joy. 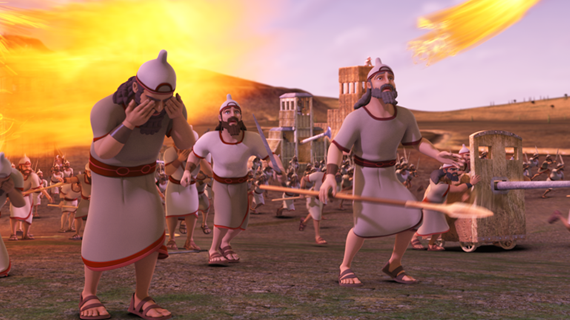 Before getting even, Superbook takes Joy back in time to witness miracles performed by Elisha against the Syrian army. Joy then decides not to get even with Barbara. Joy wants to help a disadvantage girl, but isn't sure how to help. 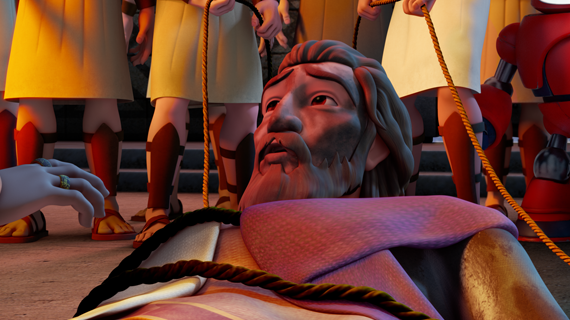 Superbook sends Joy to meet Jesus and see him perform the miracle of raising Lazarus from the dead! Joy returns home and creates a series of amusement park rides for her to enjoy. Chris's father leaves him in charge of a challenging project. 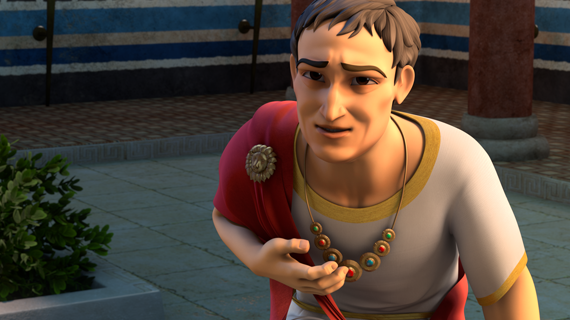 When he is unsure what to do, Superbook takes the him to meet King Solomon. Solomon encourages Chris to pray for wisdom. After returning, Chris, with God's wisdom, solves the challenges. 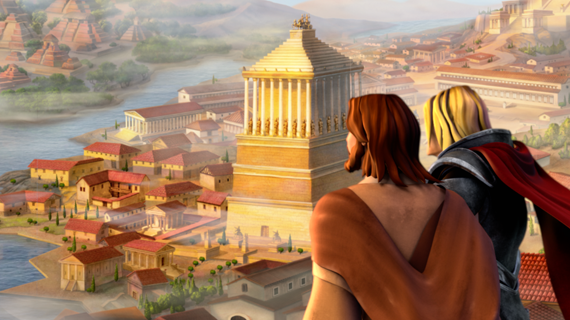 When Joy is swamped by many projects, Superbook takes her to meet Daniel in King Nebuchadnezzar's palace. Through prayer, God gives Daniel insight into the King's dream. After Joy returns home, she seeks God in prayer for solutions to her problems. The kids see a girl and her little brother taking all the ketchup packets to make “ketchup soup.” Joy doesn't think she should get involved. 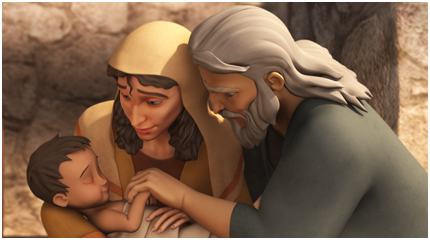 After Superbook shares the story of the Good Samaritan with the kids, Joy decides to help those in need. ¡Deja ir a mi pueblo! Superlibro lleva a Luis al antiguo Egipto. Luego de presenciar a Dios llevarse a José del pozo al palacio, Luis entiende el valor de confiar en los planes de Dios. Luis es probado con un dilema moral y Anita le advierte hacer lo correcto. ¡De pronto, Superlibro los lanza de vuelta en el tiempo, donde tres hombres son probados por el fuego! El mundo de Luis está derrumbándose. Su abuelito de repente fallece y el dolor y la confusión se apoderan de Luis. ¿Por qué le ocurren cosas malas a personas que intentan hacer el bien? Superbook DVD Club members have access to watch full-length Superbook episodes online or within the Free Superbook Bible App. 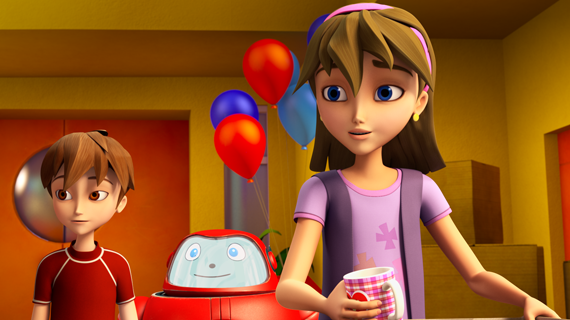 They also receive 3 DVD's of each new Superbook episode. 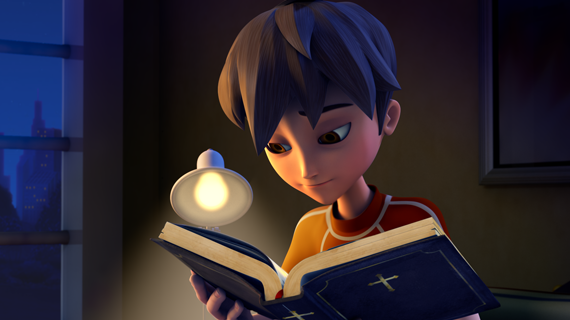 If you are already a Superbook DVD Club member and have enabled streaming access, please login to access full-length Superbook episodes. 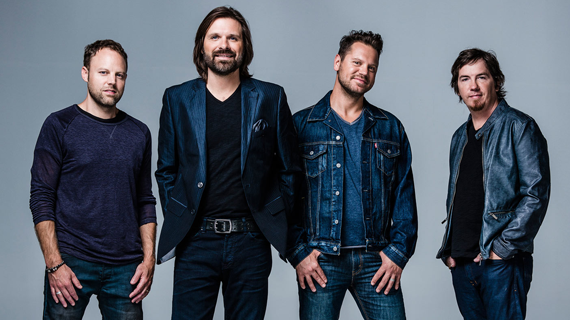 Third Day share why spending time reading the Bible is important to their faith. With Ebed-Melech’s help, Jeremiah is freed from a cistern. Jesus turns water into wine at a wedding in Cana. 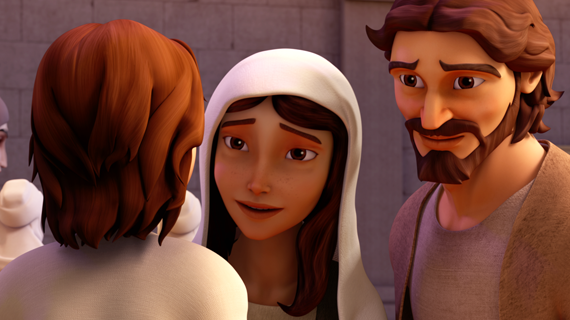 Joseph and Mary find Jesus teaching in the temple. Satan tempts Jesus by offering all of the kingdoms of the world. Angels revive Jesus after he withstands the temptations of Satan. Gamaliel warns Council not to take action against the disciples. Governor Sergius Paulus becomes a follower of Jesus. John Mark decides not to journey with Paul and Barnabas. The message of the love of Christ for each of us. The message of Christ's love for each of us. Jesus appears to Paul in prison. God strikes the Syrian army blind, so that they cannot attack Elisha. The people of Nineveh repent. Paul’s unwillingness to let John Mark travel with them, leads to Paul and Barnabas going on separate journeys. Paul and Barnabas share the Gospel in Lystra leading to Paul being stoned. 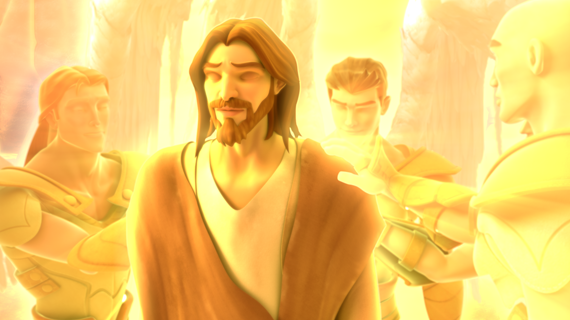 The message of Christ's love for each of us set to scenes of the Superbook episode “Jesus in the Wilderness”. Satan tempts Jesus to jump off of the temple. 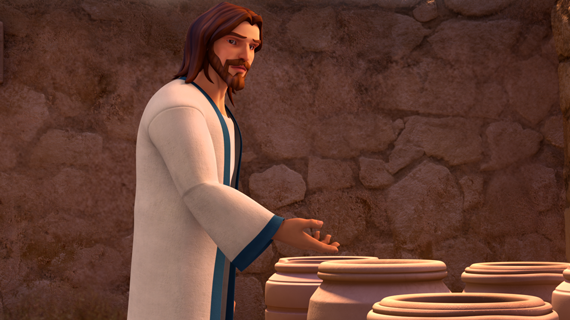 Satan tempts Jesus to turn stones into bread. 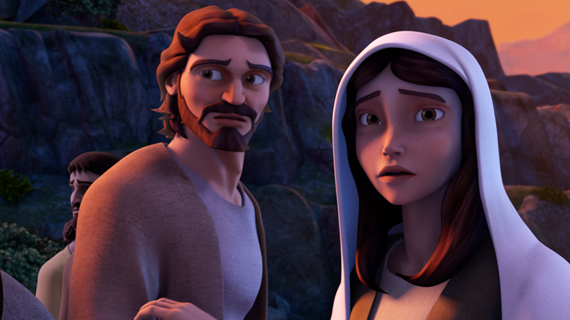 Joseph and Mary discover Jesus is missing. Jesus feeds over five thousand people with 5 loaves of bread and 2 fish. 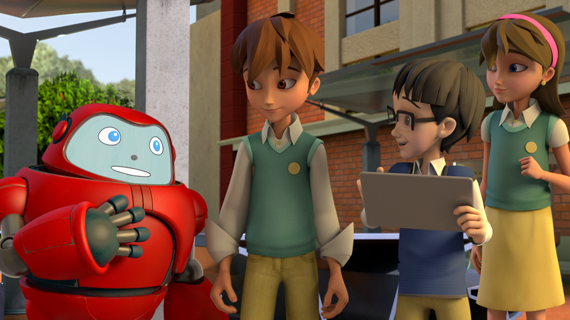 Please sign in or register for a free Superbook account to watch full episodes, earn SuperPoints and win great prizes. Why did God let them hurt Jesus? © Copyright 2019 The Christian Broadcasting Network. Please log in to fav! Please log in to share! Saya mengerti ini adalah website yang berdasarkan ajaran Alkitab. Dan saya sudah mendapatkan ijin dari orang tua saya untuk menggunakan website ini.